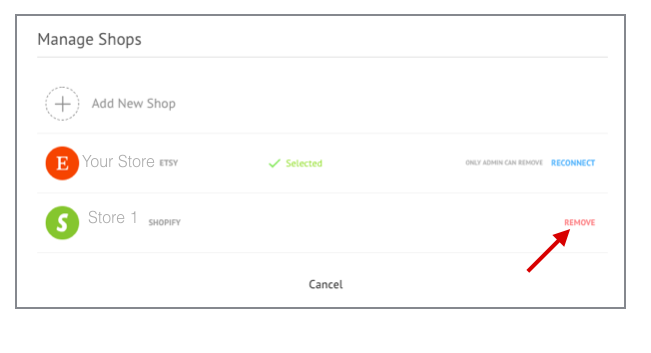 How can I remove my shop from the Socioh app? ** We will stop posting on your behalf. However, you will be able to reinstall your shop and have access to the Marketing features till the end date of your subscription. 2. Log in using your Facebook personal account. 3. You'll see the option to choose the platform that you'd like to connect. Click on the platform on which you have a shop and follow the instructions.